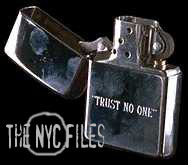 The NYC Files. or Little Green Men. or Send My Regards to Skinner. (we haven't decided yet). the control knob slightly counter-clockwise to slow the reel, then pressed the knob down to stop it. Carefully cranking the knob to the left and then to the right again, she focused on the top line of the newspaper. "Finally," she muttered. Tucking a strand of loose auburn hair behind her ear, she rolled the screen down, and found te article she'd been looking for. She grimaced as she read the article. A group of newsboys, or 'newsies' as the article refferred to them as, had gone on strike against William R. Hearst and Joseph Pulitzer, two of the greatest media persons of all time. Scully had collected, through the half a dozen articles in the NY Times, that the prices for the distribution personnel had been raised, due to the war efforts of that era. "Those poor kids," she said as she read on. Several young newsboys had been interviewed by a seemingly generous reporter. One who was known as Racetrack Higgins explained that none of the working children had the extra money to spare. Thus the injustice that another boy, who was called, "Kid Blink" confirmed. "You'd think that the owners of these great metropolitan newspapers would have enough extra cash to ease up on these children, at least for a while..."
BRREEP! Scully jolted out of her studies. She picked up her cel phone from her jacket pocket and answered, "Scully." "Mulder! Where are you? I've been trying to reach you for two days!" "Didn't you get my message?" She sighed. She knew where he was. "You're in Houston." "I was in Houston, yes. Then I went to New Mexico -"
"For what, Mulder? Roswell autopsy videos or another chupacabra attack?" "You know, the locals had been telling me of more goat-sucking monsters -"
"I'm in a helicopter. We're supposed to be touching ground in Poland in oh, another three hours..."
"Yes, Scully?" he waited for a reply. There was none. "I'm meeting with the Sergeant-at-Arms of the UFO Center in Copenhagen." "I thought you were going to Poland." "We have to pick up Dr. Paoul Borowski before the meeting...so, what are you doing tonight?" "Good for you, Scully. What's Kersh got you doing this week? More manure detail?" "You know me, Mulder. I joined the team of the FBI's Most Unwanted several years ago. Why should that change now, even though the other half of the team is off chasing hypersapien scientests." "I ache for you. We're supposed to be pulling our badges out at several Chinatown and Little Italy sweatshops tomorrow. But, given the fact that I have to do all the work by myself, it won't get done until Monday, at the earliest." "You know how much I'd love to spend a weekend in New York with you, but you see - "
"Mulder? You're breaking up, I can't hear you!" Scully hung up the phone and reached for the dials on the microfilm machine again. "Maybe I'll get his pay and my overtime this week..." she thought to herself. Some time passed, and she switched from microfilm to indexes to books and to computer files before becoming engrossed in a book titled, "How the Other Half Lives." The agent was studying the Children's Labor Laws of 1902 when she glanced at her watch. 10:42. Sighing, Scully began to close up her work for the night. She put on her overcoat and left the large, glassed-in room that held the information relating to the turn of the century. Taking the stairs from the fourth floor proved to be a bit unsettling; only ghost lights were on throughout the upper stories of the building. The Archives closed at 7:30 PM to the general public, but government employees had access until 11:00. So she shook her feelings of vulnerability and proceeded down the dimly lit stairs. She turned a corner and saw a shadow move. "Who's there?" she called into the darkness. No reply. She slowly reached behind her and pulled out her .38. Pointing it towards where she saw the shadow, she stepped closer. There, the figure of a man stood, pressed up against the wall. "Don't shoot," he said calmly. "I just wanted to give you a little surprise, Dana, that's all." He stepped out of the shadows. She held the gun steadily on him. "Dana, what would your mother say?" "Krycek, you will tell me what you're doing here and if you don't, so help me God..."
"You love threats, don't you?" She moved her finger to the trigger. "No! No, wait, Scully. I know you. I know you will kill me. You've shot your own partner. You're not to be tested," his charm was wearing on her nerves. "Look, Krycek, I still don't know what you're doing here. I do know you were behind Mulder's father's death and many more. Why are you here? Now?" "I just had a bit of information that might prove useful to your case." "What do you want, Krycek!" It was a demand, not a question. He laughed quietly. "This investigation you're doing. I know of a consortium, of sorts, that is abusing children. It has been for a century now." "Put the gun down and we'll talk. Before you go running your pretty little self into this ring, you've got to know who - and what - you're dealing with." Scully lowered her gun. "Talk." she said. Alex Krycek shook his head. "No, not that easy, Scully. I need a favor done before I can give you any more help." "Hey, you, wake up!" a heavily accented voice called. Scully slowly opened her eyes and immediately wished she hadn't. Her head was shooting pain from ear to eye to spine, and the rest of her body ached and felt bruised. Her eyes began to focus, and saw a short, round, putrid-looking man bent over her. "Frohike - is that you?" she mumbled. "Fro-what?" the man asked. "Da name's Weisel, Miss. Saul Weisel. You can call me Saul," he said, taking off his dirty hat to reveal a greasy, balding head. "Ohh..." Scully groaned. "I want Frohike." "Yeah? Well yer stuck wit' me lady. Get up," he ordered, looking her over suspiciously as he fidgeted with his cheap golden watch on a chain. He was going to be late. "What do you mean," she said, standing up slowly, her body sore all over, "'What's with da clothes? '"she asked, mimicking his nasal voice thick with a Brooklyn accent. She looked down at her dress clothes, then back up at him and shrugged, questioning him. "Lady, wit' all due respect, ya look like a man," he said pointedly. She looked down again at her usual black and white business suit, then looked dejectedly back at him. "What are you talking about? If anyone, you are the one that's a little confused with current fashions." "Excuse me?" He was obviously very protective of his appearance. "You heard me," she taunted. She reached back and touched her head lightly, wincing. "Oh , what's the point?" she said, sighing, "I've got to get out of here." She looked around, her surroundings. They were confusing and unfamiliar to her. They were in an alley between two buildings, but something seemed wrong. Something was missing. She turned back to this 'Weisel' character. "Where is here, by the way?" she tried to ask casually. He looked at her like she was from another world. "Uh, Lady, I think mebbe ya hit ya head, er somethin'. Ya'd bettah see a doctah," he said, nodding his head and talking slowly as if she wouldn't understand him. He backed up against a wall as she came closer, glaring steadily into his beady eyes. "Tell me where I am, or I will be forced to break your dirty-" She began, but was interrupted by a little boy that had been watching, unseen, on a fire escape above them. "Yer in Manhattan, Lady!" he said, worried that she would actually kill the older man. He scrambled down to them and tugged on her jacket. "Let 'im go, Lady. He jest didn't know what ya meant." She looked down at him. He, too, was dressed very strangely. She frowned, and her eyebrows scrunched together in a puzzled expression. What was going on? "What's your name, Kid?" she asked the boy, still staring at him uncertainly. "My name's Les, Les Jacobs," he said as he spit in his hand and outstretched it toward her, a hopeful look in his brown eyes. She stared at his hand, then back to his face and nodded. He now looked confused. She looked up and saw the other man trying to steal away quietly in the other direction. "Hey! Wait!" she demanded. Where the heck is my gun? she wondered as she walked quickly over to the frightened, weak little man. She was still quite dizzy, but she managed to shove him up against the wall once more. He was her only hope of explanation. "Listen to me, you little weasel," she said as she stared him straight in his sweaty face. "Da name's Weisel, Mista Weisel ta you. Whaddya want with me? I gotta get to woik!" She relaxed her hold and looked him over once more. Maybe this was her chance. "Take me with you. I have to find Mulder." "Agent who? Ah, nevahmind, you can't come with me. No ladies allowed at da distrabution centah." "What?" she scoffed. Another male chauvinist, what's new? she thought. "Listen buddy, either you take me to your little 'distrabution centah' or I-"
"All right, fine! Geez, settle down," he said shakily as he cautiously moved around her. "It's dis way." The boy and the man started to lead Scully out of the alley and in the direction of the distribution center. As soon as she stepped out of the alley and into the street, she experienced the immediate shock and then the flow of panic that follows when you realize you're lost. She stopped and inhaled deeply, trying to gain a knowledge of where she was, but was very disheartened when she had to accept her surroundings. It was New York. She looked to her left and saw the H.G. Kress Building staring down at her. To her right was a sign pointing to the southeast entrance to Central Park. At the same time, there were no cars on this street. There were no busses, no hot dog vendors, no newsstands. It was still dark out, but she could see well enough to know that the few carriages and carts on the street, the women in long gray and brown dresses, and the men in top hats were not in her time - they still in the century before her. "Hey, Lady! Ya comin'?" The little boy stopped and called. "Yes," she replied, collecting herself, and started walking again. She fell in stride with him, and felt guilty about threatening the Weasel man, especially in front of him. "So, your name's Les?" "Yeah," he replied. She looked down at him and tried not to laugh. He was so small, so mouselike with his clean but unbrushed hair sticking out from under his London cap. She smiled her sincere smile, which seemed to relax him. "So, Les, how old are you?" He hesitated for a minute. "I'm seven," he replied, thinking about the first bit of advice his mentor had given him. "What are you doing out this early in the morning? Don't you have school today?" "No, Miss, see, I gotta go to work this mornin'." Scully understood. "That's where we're going now..."
"Yup," he said. "Usually my brudda David, he's olda, he usually comes to work with me. But he's got a bad cold, my mudda thinks it might be the flu. So I had to come to work by myself taday," he paused. "Why was ya gonna beat up Weasel? I mean, nobody likes 'im at all, by why beat 'im up?" "I, uh," Scully grasped for some justification of her actions, but was coming up short. Then she was distracted by a line of about thirty kids, mostly boys, standing and talking beside store fronts. "What's this?" "This is the Distribution Center," Les told her. Scully watched as Mr. Weisel pushed his way through the line as the kids taunted him. It was obvious he wasn't well-liked. Two other boys were inside the building, which she figured to be the Distribution Center. Les looked around, and waved at some boys, then left her to go talk to his friends. A commotion stirred behind Scully. She turned to see another thirty boys running around a corner, laughing and shouting. "The Cowboy rides again!" shouted a short but older looking Italian boy. He stuck a cigar in his mouth and punched another boy in the back, who, in turn, stopped and made several flourished bows and donned a cowboy hat that was slung behind his neck. He tightened the bolo and jumped up on a cinder block. "Extry, extry! Manhattan newsies defeat Queens at rummy!" With that, all the kids hollered and cheered, causing two boys to pick 'the cowboy' up and carry him to the front of the line. Upon reaching the distribution window, he rang the hanging bell three times and coolly leaned on the counter. "Hey, Mista Wea-sel..." he sang. The oily man opened the window and asked gruffly, "How many papes, Cowboy?" "Da usual!" the boy stated, slapping down a coin. "And anudda fifty for little Les, heah," he slid more money across the counter. Upon receiving the extra fifty, he handed a bunch to the little boy that Scully had talked with. Turning, Cowboy proclaimed, "Cheahs for da best sellin' partna in Manhattan!" Which led the large group of kids to cheer for Les. Scully furrowed her eyebrows. "They have got to switch to decaf. It's amazing they're not dancing in the streets..."
She decided to get some answers. And the only adult around was Weasel. She made her way through the crowd of adolescent boys towards Weasel. "Hey! What'cha think yer doin'?!" yelled a boy as she cut in front of him, trying to get to the barred window. She turned around and shot a dark look at the boy. He saw her face and was dumbfounded. "Ah, I'se sorry Ma'am, I�I thought you was a guy," he said sheepishly, his hands reaching up and removing his hat, revealing his dark curly hair. She just shook her head and kept moving through the stream of boys. "Weasel," she said as she reached the counter. He shook his head, "You again. Whaddya want? An' how many times do I gotta tell youse, it's Weisel, Mistah Weisel. Now c'mon, yer holdin' up the line." "Look Mister Weasel," she said, sick of the man and wanting answers, "We're in New York, right?" He nodded. "And-" She paused, noticing the date on the papers that were stacked next to Weasel. The color drained from her face. 1899? Her head began to spin, and her hands started to tremble. She sat down shakily. The boy they called 'Cowboy' came over to her, having watched the whole conversation with interest. "Ma'am, ya all right?" he asked with concern. "Yes, yes, I'm fine," she said, sitting up from her slouched position, mumbling to herself. "This is a dream, it can't be real�"
The older boy looked at her strangely. "What'samaddeh wit' ya? You feelin' all right?" Then, turning to Weasel, "What'd you say ta her?" "Hey, kid...What's your name?" she asked, her head clearing slightly. "They call 'im Cowboy!" piped in Les enthusiastically. Cowboy grinned. "Yeah, that an' alota uddah names, includin' Jack Kelly, which is what me muddah called me," he said, helping her up. She stood up slowly, her legs unsure. "Well, Mr. Kelly," she said, "I'm Agent Dana Scully of the FBI." "The FB-what?" Then, warily concerned, "You ain't wit' da bulls, are ya?" "The bulls?" Scully asked hopefully. This kid had to know about Michael Jordan. "Yeah, ya know, da police?" "No," the hope drained from her voice, "The FBI is the Federal Bureau of Investigation. But don't worry," she said, laughing slightly, "It's not going to be around for a while yet." He again looked at her oddly. "Okay, lady. Uh, you need somethin' ta eat? You seem a liddle�confused," he said slowly, not sure what was wrong with her. "No, I'm okay really. This is all a dream anyway," she said naturally. Now he was really worried. He thought for a minute, then said, "Okay, Miss Scully, or whatevah ya name is, you get hit in da head or somethin'?" She looked him in the eyes, "What does it matter? This is all a really bad dream. You're not real, Weasel isn't real, this is just my brain saying, 'Dana, you need a vacation'." She started walking down the row of incredulous boys. She came to the one she had cut in front of before. "Hello again. You know what? You're not real!" she said as she pushed him back with her index finger. She was obviously on the verge of hysteria. The boy backed away, obviously frightened by the crazy woman. She continued talking to no one in particular about dreaming, her head still spinning. She heard a familiar voice behind her. She turned around and gasped. "Mulder?" she said incredulously to the man in front of her. "Hey Scully," he said amiably. "I'm guessing this isn't Denmark?" With that, she fell into the arms of a very confused Mush in a dead faint. "Ah, Mayor, good to see you again," Joseph Pulitzer reached out his hand and the Mayor did the same. After a weak shake, the Mayor looked up at the squinting man and smiled. "I want to thank you again for your recent...publicity towards the Governor. It gave us ample time to get our problems sorted out before the department was fully aware..."
"No! No more talk of past. Consider us even." The Mayor smiled and nodded before taking a seat on the large half-circle couch, next to William R. Hearst of the Sun. After the arrival of two more of New York's VIP's, the conversation got underway. A rather large man who was referred to only as, "The Elder" conducted the meeting with the input of a handsome older man with a distiguished English accent called "Well-Manicured Man." Pulitzer sat back and followed everthing closely, blurting out his opinions and receiving harsh looks from the Elder. Hearst, on the other hand, quietly nodded and looked serious, as did the other two men, one who had been introduced as "Warden Snyder" of the House of Refuge, and the other, Arnold Kitzinger, who was apparently the governor's leak. "I have a concern," Warden Snyder began, after the plan had been proposed. All eyes turned to him, but he waited from the Well-Manicured Man and the Elder to give him the go-ahead to speak. "The House of Refuge - its heartbeat is the orphans and runaways. If we take these children away from the Refuge, into these, experiments, we may lose all of these boys and girls...and the Refuge would go under." A figure stepped out of the shadows. None of the guests had noticed him there, but immediately knew who he was. A trail of cigarette smoke swirled up into the air, as he slowly took the Morley out of his mouth. "Mr. Snyder," he began, the Canadian in his voice thick, "At the risk of speaking cliche, money is not an object in this project. We have plenty of funds in which to reimburse you for your sacrifice." Snyder nodded, and the Cigarette Smoking Man continued. "And, if reimbursement is not enough for you, we may throw in a bonus annually..." With that, Snyder smiled. The mayor spoke. "What area will this most affect? Will it be noticable? The newsies and laborers have been a part of this city for a long time..."
"Think of it as," Pulitzer leaned forward, emphasizing his words with his cigar and free hand, "Think of it as cleaning up the streets." Nodding as if an answer had been given, the mayor sat back and closed his mouth. "If there are no more questions," the Elder looked around for anyone to speak, "let us talk about the implementing. We have the oil in containment in the Upper West Side. It will be planted in Brooklyn at exactly 1:09 PM, today, where it will travel to the piers and infect one of the leaders of the newsies. He will become the carrier. At approximately 2:20 today, two of the Manhattan newsies will be infected, leading to opening of the Newsboys Lodging House near Central Park. From there, hosts will travel to Harlem. Then we will meet again. We will contact you. Is everything clear?" The guests nodded. Snyder glanced around for the Cigarette Smoking Man, but could not see him. Directing his attention back towards the Well-Manicured Man, he lost his thoughts and involved himself with his role in the plans. The Cigarette Smoking Man slipped unnoticed to the streets. He walked down 42nd to Fifth Avenue, towards Washington Square Park. Pausing for a moment to buy a paper from a curly-headed gimp and throwing in an extra ten cents, he puffed while the kid said, "Hey! Thanks, Mista!" "Enjoy it today, Boy," he said, "For tomorrow...well, you know." The boy looked up, bewildered, and Cigarette Smoking Man turned to continue on his way. Images floated over her. She couldn't quite see who, or what, they were. It brought back hazy memories that frightened her. She tried to scream, but no sound came out. "Scully, can you hear me?" came a familiar voice. She tried to focus her eyes. "Yeah," then, to someone else in the room, "Hey guys, she's coming to." Her head began to clear as she propped herself up on one arm. She was lying on a hard little mattress that was the bottom of a bunk bed. A small crowd was gathered around her, looking on curiously. Mulder was sitting in an old wooden chair he had pulled up next to the bed. Kneeling next to him was an older boy that she vaguely recognized. Seeing her inquiring glance, Jack said, "Heya Scully, it's me, Jack, remembah?" He had obviously been talking with Mulder. "Oh yeah, that's right, the Cowboy...where's Weasel?" This brought forth much laughter from the boys crowded around her. She looked back to Mulder. "Where are we, Mulder?" "New York City, Manhattan to be precise." "And the year?" she asked, dreading what she knew she'd hear. "1899. Anything else?" he asked, slightly amused. "I thought you'd ask that." "I was also hoping you'd know the answer. I was in the air, we had just picked up Dr. Borowski and were heading to Copenhagen when something went wrong...not-so-long story short, now I'm in 1899." "Hmm, well, in my story, I think Krycek knows the answer." She nodded solemnly. Jack, who had been listening, confused, now broke the silence. "Ok, so let me get this. You," he said to them both, "are from another country or something, right? I mean...at's with the clothes?" "It's like this, Jack," Mulder said, facing him, "Scully and I are from the future, say, 100 years in the future," he let this sink in, expecting a big reaction. All he got was rousing laughter from all of the boys. "Yeah, an' I'm Teddy Roosevelt!" chuckled Racetrack, a new acquaintance to Mulder. Surprisingly, Jack was not laughing. He was just pondering something in his head quietly, his eyes far away. Mulder dismissed this as denial. Seeing that they weren't going to be easily convinced, Mulder decided not to waste his time. "All right, all right, fine. Scully," he said, turning to his partner, still sitting on the bed, "let me introduce you to our new friends." He walked over to the boys who were assembling themselves in a disorderly line. "This," he said, placing his hand on the short boys head, "is Les." "We've met," Scully said, smiling at the boy. "This is Mush," he said, standing next to the boy who was blushing slightly. "We've also met," she said, shaking her head, "Sorry about that, kid." He shook it off, embarrassed. "Yeah," said the older Italian boy, "How'dya know dat?" "I read it...uh, just a good guess," she said, not wanting to confuse things. "This is...what's your name again?" Mulder asked the tall boy with sandy colored hair and an eye-patch. "Kid Blink, pleased ta meetcha," he said, spitting in his hand and then stretching it out to Scully. She shot an inquiring glance at Mulder, he shrugged. When she didn't accept it, he looked hurt. "Oh, no hard feelings, kid...Blink, that is," Mulder added, seeing his expression. "It's just that in our country, people don't do that so often." This seemed to satisfy him and he joined the line again. After all the introductions had been made, another boy, this one wielding a crutch and a few newspapers, burst into the room whistling happily. "Hey fellas, you'll nevah guess what jest happened," he started excitedly, then, seeing the agents, "Ah, sorry...didn't mean ta interupt nuttin'." "Heya Crutchy," Jack said, going over to the boy, "This heah's Scully, and this is Mulder, they're going ta be stayin' wit' us fer a liddle while." When he saw Crutchy about to spit in his hand, he whispered something in his ear and Crutchy quickly put down his hand, and nodded politely at them. "Well, Mulder," Scully said, sighing and rubbing her temples, "What are we going to do?" "Well, being new to this day and age...and country," he added for the sake of the boys, "I think we should let our new friend Jack give us some advice." "Well den," Jack said, leading them out of the small room, "I'se gonna say dat we discuss ovah some lunch. Anybody fer Tibby's?" A small cheer rose from the group. Scully ran her fingers through her hair as she stood up, shakily, with Mulder's help. He smiled a reassuring smile at her as he handed her her overcoat, and helped her slip it on. As they all filed out of the room, Crutchy, Scully, and Mulder were the last ones through the door. Just as they entered the hallway, Crutchy hobbled over to them. "Welcome ta America," he said slowly, smiling as if they couldn't understand, and then passed them and joined the stream of boys. Scully just shook her head. This was going to be an interesting day.